Electronic Printed Circuit Board Repairs. We Supply, Install and Service. A printed circuit board (PCB) is a device that mechanically supports and connects electrical components by using conductive tracks, pads and other features from one or more sheet layers of copper which are laminated onto sheet layers of a non-conductive substrate. These components are generally soldered onto the PCB to both electrically connect and mechanically fasten them to it. Printed circuit boards are usually used in all but the simplest of electronic products and are also used in some electrical products, such as passive’s switch boxes. T.M. 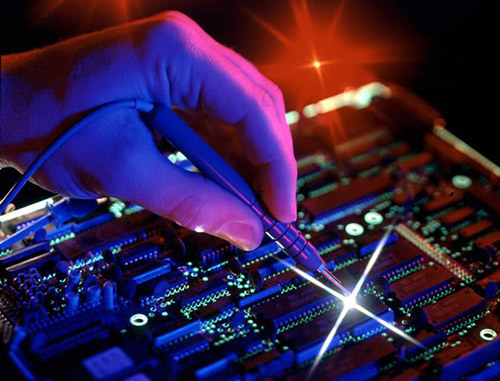 Engineering has been specializing in the industrial electronic repairs to PCB systems for over 30 years. This time has allowed us to gain in-depth knowledge and experience on the PCB systems and all the aspects that go into repairing them accurately and effectively. We offer a comprehensive and specialized service as we remove faulty components and replace them with new ones. This is only made possible through the strong relationships we have built with power buying houses China, Korea and Japan where we are able to obtain these important components. Don’t go another day with a faulty or broken electronic printed circuit board. Give us a call today on 0117911562 and let us put our expertise to work. Alternatively send us an email on sales@tmeng.co.za.